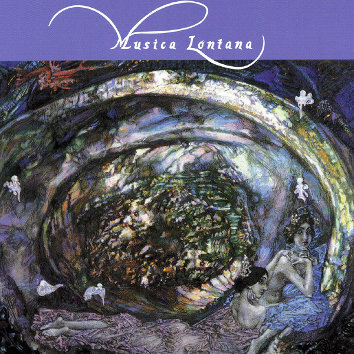 "Musica Lontana" is a Greek - Italian project performed by a sextet and recorded live on September 2010, during the "8th Celebration of Jazz and Creative Music" in Thessaloniki, Greece. An intuitive interaction of poetry and music, in Italian and Greek, solo and duo recitations, well structured melodies and open improvisations. Songs by flutist Vincenzo Mastropirro on the poetry of poet/saxophonist Vittorino Curci. Compositions and arrangement of the Ancient Greek "Epitaph of Seikilos" by pianist Sakis Papadimitriou. Agamemnon Madras on double bass, Christos Yermenoglou on drums. Georgia Sylleou offers a personal and passionate interpretation through her flexible voice and lifts the band's music to another dimension.